The 52-Week Challenge is not just for adults. You can help your children with their savings goals as well. Here’s how to get them started with the 52-week kids challenge for kids. 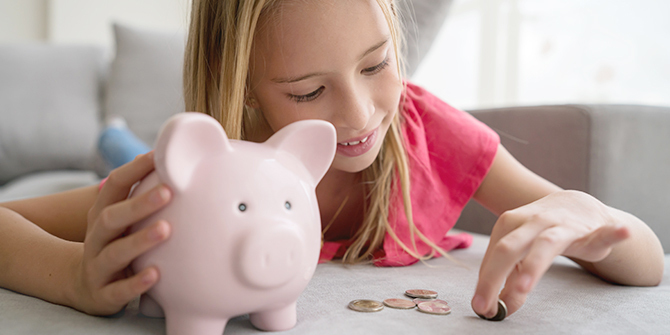 While your kids may not be able to participate in the traditional 52-Week Challenge of saving dollars each week, they can get started saving on a smaller scale. Like adults, they start small and gradually deposit a little more into their Fat Cat Account every week for 52 weeks — a full year. For example, during week one they put 25 cents into their savings account. On the second week put 50 cents, on the third week put 75 cents. By year’s end they’ll have saved $344.50. Plus, their money earns dividends on top of their savings, like your LGFCU Share Account. That means your children are getting even more money! The new year is a great time to get started with saving. Check out the chart below or download and, print your own 52-week kids challenge chart to help you and your children keep track. Check in with us on Facebook and Twitter and let us know how your child’s saving is going. Your family’s story may inspire other families to get started or keep going. The advice provided is for informational purposes only. Please refer to our social media policy on what you should or should not post on social media.